A Unique Product for Healthier Living. Made with Fresh and Nutritious Beans. Green Garbanzo Beans, Tahini (Ground Sesame Seeds), Water, Artichoke Hearts, Spinach, Lemon Juice, Garlic, Sea Salt. Low Carb – Low Sodium – Great Source of Fiber, Protein and Folic Acid. Also known as “Super Bean” or “Better Bean”. 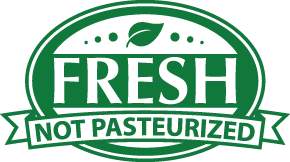 It is harvested Fresh at its Nutritional Peak, then Individually Flash Frozen(IQF) before the natural sugars turn into starch and also to ensure Full Nutrition preservation and Year round availability. Green Garbanzo Bean has more nutritional value, including less sodium and more flavorful taste than regular canned or dried garbanzo beans. No insecticides have been used on these plants because they have a high concentration of Malic Acid, a natural deterrent to pests. They play a key role in crop rotation due to their ability to fix nitrogen and add natural fumigation to the soils. They Contribute to satiety, helping to maintain a healthy weight. They are an all-natural, non-allergenic source of protein. They also contain antioxidants, vitamins A & C along with good-for-you phytonutrients. A good source of iron. They contain other minerals, such as magnesium, potassium, and calcium for healthy blood and bones. At Nature’s Healthy Gourmet, we are pioneering the production of this unique “Green Garbanzo Hummus”, to ensure that this Fresh-Picked and Nutritious Bean is about to make its way into the Homes of All Health Conscious people across the globe. High in Folic Acid(40%), a supplemental form of a B Complex vitamin that is necessary for formation of red blood cells, DNA synthesis and for protein metabolism. Great Source of Protein and Fiber.